All adult members of the Emma Willard School community are mandated reporters and must report any suspected case of child abuse or neglect to the proper authorities. List of 12 news stories. 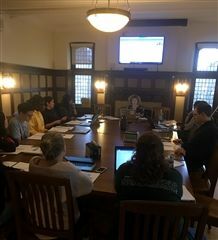 On December 14, the Emma Willard School Campus Leadership Team (CLT) met to conduct a full review of the school’s CORE Evaluation as part of the ongoing healthy boundaries initiatives undertaken in the school’s partnership with Culture of Respect (CoR). A bill sponsored by Democratic Assemblywoman Cathy Nolan of Queens, and western New York Republican Pat Gallivan in the Senate has made its way to the desk of Governor Cuomo. The legislation would require that employees of private schools be mandated reporters by law. Currently, private schools are not required by law to report instances of negligence or abuse to authorities. Emma Willard School’s mandatory reporting policy exceeds the current law, and clearly states that each adult is considered a mandated reporter. On Tuesday, June 12, The Albany Times Union hosted a discussion of the #MeToo movement led by a panel comprised of attorney Sarah Burger, President of Pinnacle Human Resources Rose Miller, and State Assembly Member Jo Anne Simon. Emma Willard School was a proud sponsor of the event. 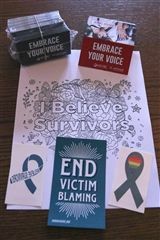 For the first time ever, this April, Emma Willard School participated in the nationally coordinated observation of Sexual Assault Awareness Month. Members of the Culture of Respect Core Leadership Team hosted an open town hall discussion on the #MeToo Movement and its relation to the current cultural dialogue surrounding sexual assault and sexual harassment in the workplace and beyond. Emma Willard School prides itself in being a leader in girls-first thinking, and providing students with a first-class education in a nurturing community. As part of this mission, Emma faculty engage in regular professional development to keep apprised of current trends and research so that we can best our support students’ academic and socio-emotional development. 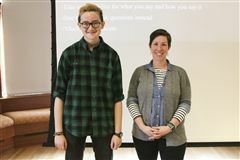 Last week, Self Defense Instructor Corinna Caracci came to Emma Willard School to teach Emma students how to defend themselves against physical violence and verbal harassment. 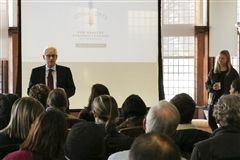 On Saturday, October 21, 2017 David Wolowitz, attorney with McLane Middleton firm and consultant to independent schools nationwide, met with the Emma Willard School Board of Trustees and school administrators to share an overview of a training session he is scheduled to deliver to the adult Emma community in January. 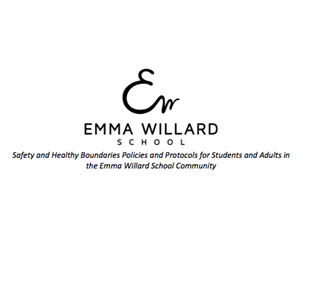 The well-being and safety of our students is the utmost priority at Emma Willard School. As such, our first all-school meeting of a new academic year focuses on ensuring the entire community knows and understands the school’s policies, procedures, protections, and cultural norms. Our student leaders are vital resources for Emma Girls. Each year, girls undergo a rigorous application process to become a senior Proctor or junior Wellness Advocate (formerly known as Peer Educators). These leaders are trained to provide direction and advice for navigating the many aspects of life at Emma. As such, they undergo training on a number of topics. 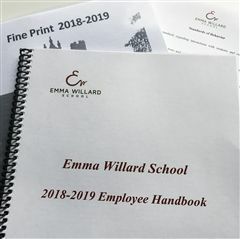 Each school year, members of the Emma Willard School administration and student life teams reevaluate, refine, add new, or expand policies in our community handbook Fine Print, and the Employee Handbook. 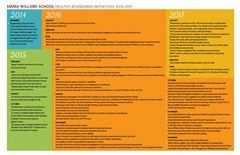 This year, the team worked with our partner Culture of Respect on this process to ensure that student safety was as clearly defined and as accessible as possible. As promised in our communications since July, 2016, we have been determined to share and confront the facts surrounding sexual abuse at Emma Willard School. Today, we present you with the complete results of the external audit conducted by child protection experts Leslie M. Gomez and Gina Maisto Smith of the law firm Cozen O'Connor. 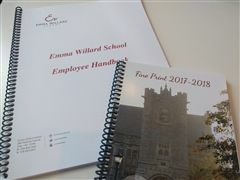 You can access the report on our website here and at https://issuu.com/emmawillard/docs/report. We are making it available to everyone in the Emma community. Sophomores in our health classes spend several sessions covering relationships, women's health, and sexual health. As part of this programming, girls are informed of issues including sexual assault and intimate partner violence, and are provided with examples of appropriate and inappropriate relationships, ways to negotiate relationships, and where to turn for assistance and support. 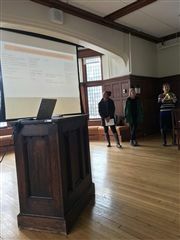 Emma's student leaders—our Wellness Advocates and Proctors--undergo training on bystander intervention and how to assist should they witness any type of assault. Additionally, our Proctors educate girls on recognizing potentially unsafe or dangerous situations and what to do if help is needed. Our Health & Wellness Center provides information on the prevention of sexual assault, both publicaly on display boards and in person via our nurses. Our nurses are also engaged in the delivery of the women's and sexual health sessions of our health classes. Emma Willard School also has counsellors on staff who provide relevant information and referrals to students who require it. Learn more about all the resources available in our Health & Wellness Center. Before leaving Emma, seniors attend a two-day retreat where they attend an informational session on sexual assault on college campuses. 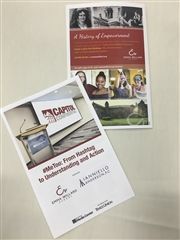 Emma Willard School faculty and staff members recently completed mandatory online trainings through United Educators entitled: Workplace Harassment Prevention Fundamentals (K12); and Protecting Children: Identifying and Reporting Sexual Misconduct. 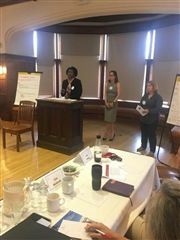 On Saturday, May 6, the Alumnae Advisory Task Force (AATF) presented their final report to the Emma Willard School Board of Trustees at the spring BOT meeting. 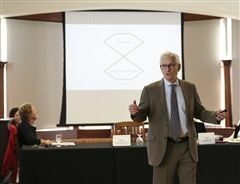 Last fall, the Board of Trustees asked that a volunteer group be formed, composed of alumnae with expertise and commitment to the issue of sexual assault. The Alumnae Advisory Task Force (“AATF”) was charged with reviewing the policies and practices in place at our school regarding the education, prevention and reporting of sexual abuse and misconduct. 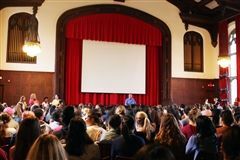 Emma Willard School has engaged the organization Culture of Respect to assist the school in its endeavors to ensure that the school is following best practices in responding to and preventing sexual abuse on campus. 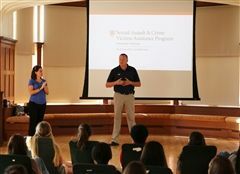 Work with the advocacy organization began in late fall and the school is the first high school in the country to partner with Culture of Respect.